We invite you to use this website to collaborate with your colleagues on ENT matters, to establish training programmes and to access educational material. Developing World ENT services are characterised by shortages of medical personnel, poor health infrastructure, outdated equipment, and pathology often not seen in the Developed World such as TB, HIV, advanced cancer, and tropical diseases. 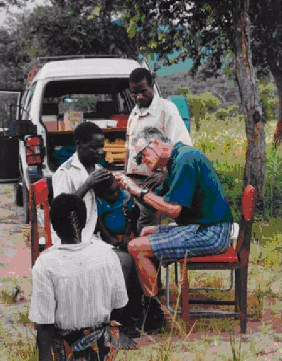 ENT is therefore practised differently in Developing World countries e.g. open partial laryngectomy, oncologic surgery without radiation or chemotherapy, open sinus surgery, and hammer-and-gouge mastoid surgery. Opportunities for training are limited, and ENTs often cannot afford textbooks or attend conferences and courses. However, special knowledge and expertise do exist in Developing World countries that need to be harnessed to improve the quality of ENT practise in the Developing World and to develop its special brand of ENT. Through this website, IFOS wishes to promote exchanges of ideas between practitioners and institutions in the Developing World, to promote appropriate teaching and training, as well as to facilitate links with Developed World training institutions. IFOS will not be held responsible for the quality or accuracy of the information or the links to material on this website.